The to-do list is a little late this weekend; sorry. 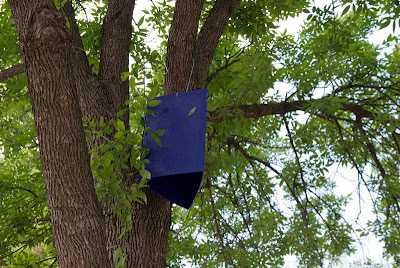 The emerald ash borer, a nasty invasive insect highly effective at killing ash trees, arrived in Minneapolis and St. Paul a few weeks ago. Above is one of the traps they're using to try to determine how far it's spread. 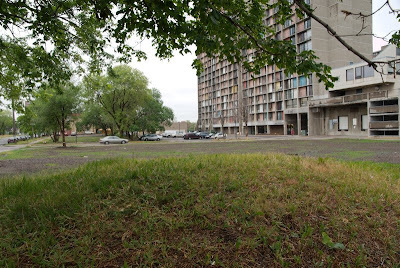 After Dutch elm disease killed off most of the elm trees in the city, they planted another monoculture, this time ash. Brilliant! We don't have any ash on our property (anymore -- one rotted out and fell due to other reasons a couple of years ago), so we're not looking at any personal losses. But, they're very common in the neighborhood and all over the city. We have one apple tree, one buckeye sapling a few years old (planted after the ash fell), and one catalpa sapling one year old. The neighbor has a great big maple which gives us some shade too. This is all that's left of the Hulk Hogan's Pastamania building and its neighbor to the north. The lots have been seeded with grass, so I suppose there's no plans to build anything in the near future. 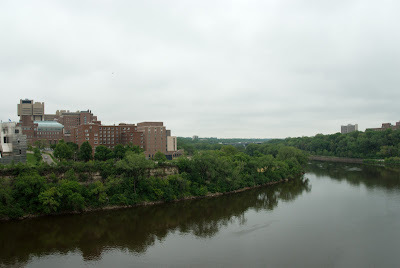 With the closure of the Kolthoff Hall sidewalk and the walk-only restrictions on the western silver bridge, it is once again impossible to safely get from the Washington Ave bridge to north of Washington on a bicycle. 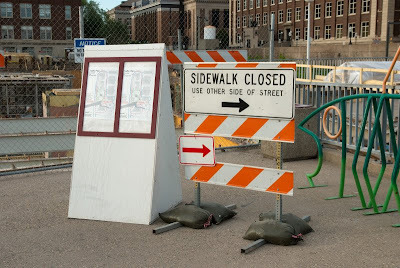 I find it hard to believe that the University consulted with any cyclists on closing the silver bridge, as it is unnecessary and focuses cycle traffic into the Washington/Church intersection, thus creating a dangerous concentration of bicycle, pedestrian, and motor vehicle traffic on the southwest corner of the intersection. 1. 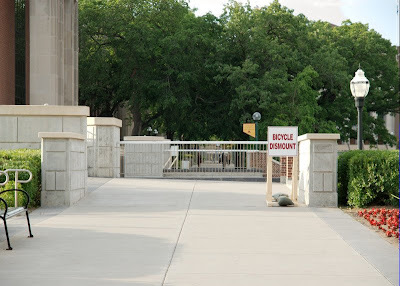 Replace the "Bicycles Dismount" signs on the silver bridge with a 5MPH speed limit. There is plenty of room for cyclists and pedestrians to coexist on that bridge in light summer traffic, and a 5MPH speed limit would allow ticketing of reckless cyclists (who are the real motivation for the closing, I would assume). 2. Close the west silver bridge to pedestrians and leave it for cyclists - the east silver bridge is a short distance away and unsuitable for cyclists anyway due to the stairs. 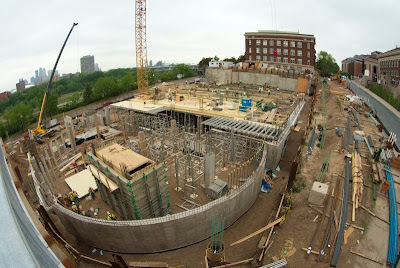 I realize that construction is disruptive, and we need to share the burden. But forcing major disruption on cyclists while while other modes are largely unaffected is not sharing. 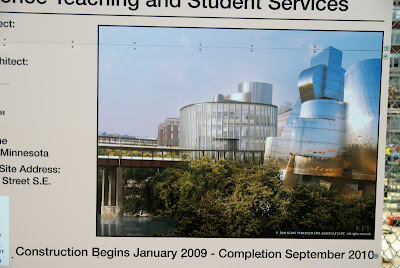 This is a rendering of the godawful new Science Classroom Building. 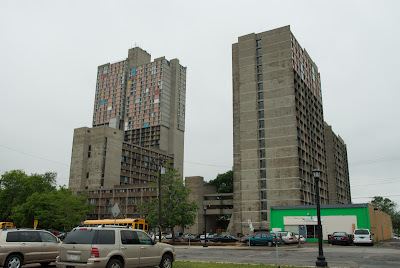 I oppose "architecture" in general, because it's expensive and dumb (let's prioritize effective use of the buildings, perhaps? ), but the University is suffering massive financial problems at the moment. Stupid architecture is the last thing we should be spending money on. 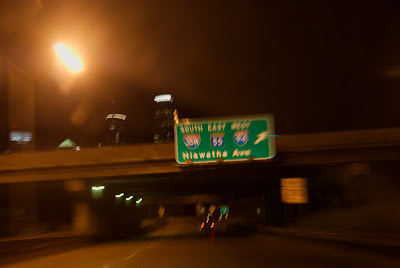 Last week when we were cramming to get the CSCW paper done, I had several late-night commutes home. 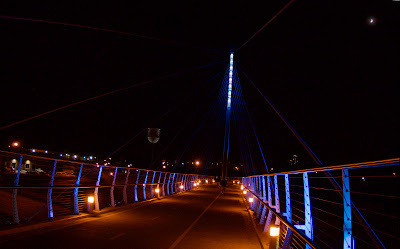 The excessively expensive Sabo Bridge over Hiawatha Avenue is indeed well lit. My CSCW paper from last year is one of half a dozen papers listed in CSCW 2010's Guide to Successful Submissions. Strange. I wonder how those are selected?